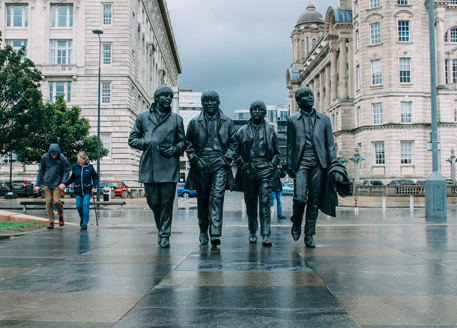 One of the UK's most populated cities, and an integral part of the governments new Northern Powerhouse project, Liverpool offers a global reputation due to its illustrious history within the music and sporting industries. Home to three leading universities and approximately 60,000 full-time students, Liverpool is also one of the most popular destinations for people looking to purchase an investment property in the UK. Liverpool is overflowing with opportunity, not just for its residents but also investors looking for high yields from property investment in Liverpool. As the city continues to reap the benefits of investments into the economy, whether that’s better transport, more career opportunities or more students studying in the city, it’s no wonder Liverpool is making its way to the top when it comes to best performing UK cities for property investment. 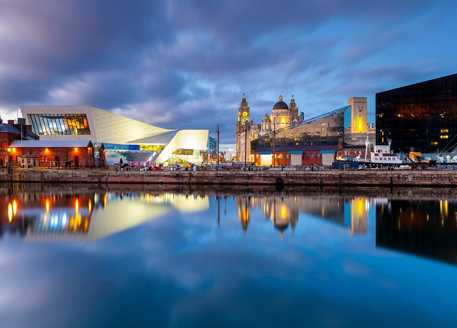 Liverpool is celebrated as a diverse city both in culture and age and is home to Britain’s oldest black community and Europe’s oldest Chinese community – a result of its role as the dominant shipping port in the world. 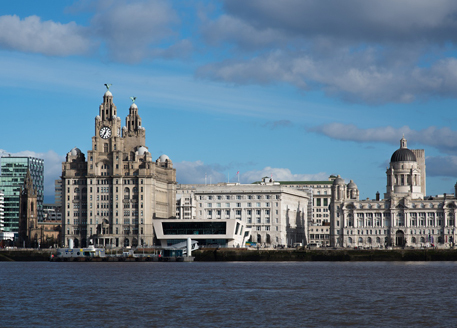 A key focus of this growth has been the continued demand for buy to let property in Liverpool. Over the years, property investment in Liverpool has seen a considerable growth in demand from investors from overseas (particularly the Far East), primarily concentrating on the rising demand for both student and buy to let property in Liverpool. Residential property in Liverpool also continues to become more and more attractive; as the city expands so does the population and in turn, so does the demand for luxury city centre property in Liverpool. It may be tempting to turn all your attention to city centre postcodes, however it’s still worth seeking out properties in locations on the outskirts of the city that have held their reputation. If the time comes when you want to exit from your investment, having a property in a popular location that provides a wide range of opportunities and amenities for buyers will help you to get the most capital growth from your buy-to-let property investment in Liverpool. If you like the sound of what Liverpool has to offer, why not take a look at our portfolio of buy-to-let properties for sale in Liverpool. Investment into Liverpool continues to pour into the student sector, with Savills reporting that £5.3 billion was invested into UK student accommodation throughout 2017 and with further investment expected in the coming years. 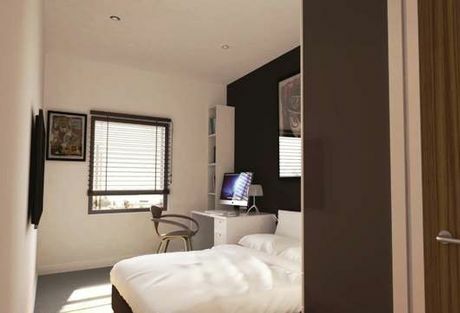 As demand continues to grow for high quality student accommodation that has luxury finishes as well as extras such as en-suite bathrooms and modern social areas, student property investment provides a range of opportunities to purchase investment property for sale in Liverpool. However, despite the volume of student and buy to let property in Liverpool, there is still a considerable imbalance between the number of available units and overall demand from students and young professionals in the city. If you like the sound of what Liverpool has to offer, why not take a look at our portfolio of student property investments in Liverpool. 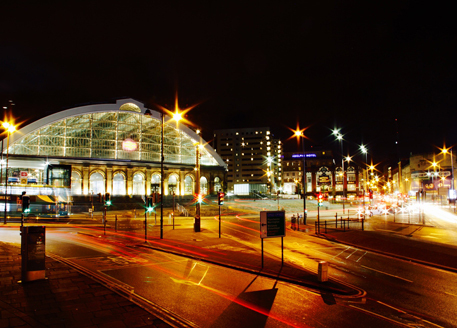 Recent years have seen considerable increases in the levels of property investment in Liverpool with a variety of new developments, ranging from government funding on major capital projects such as the stunning Liverpool One shopping centre, through to the large and continuing interest in the student and buy to let property market in Liverpool. With so many billions having been poured into the city's regeneration, and more mega-developments set to breathe new life into other parts of this cultural icon, property hunters looking for solid rental returns will surely get all their boxes ticked. Then there is the rental potential: with 70,000 plus students on the doorstep, locking into four renowned universities, plus Liverpool's strong thriving entertainment hub, and its educational quarter featuring high-tech industries, an investor will be hard pressed not to fill their rental generators over the coming years. The city was an industrial giant for centuries, and having fallen into an economic black hole for the best part of the late 20th century, it is now roaring back with a mix of exciting developments - with a choice of either completed or off-plan investment property for sale in Liverpool. The property scene has been enlivened by the Liverpool One project in recent years, but will be underpinned by some fantastic projects - including Chinatown, the Baltic Triangle, the Knowledge Quarter, Brownlow Hill, Ropewalks and Liverpool Waters - within the next decade. For example, the Liverpool Waters project is based around a single-owned port in the Liverpool docklands and will enrich the city with residential, retail and entertainment units for the next 30 years at least. 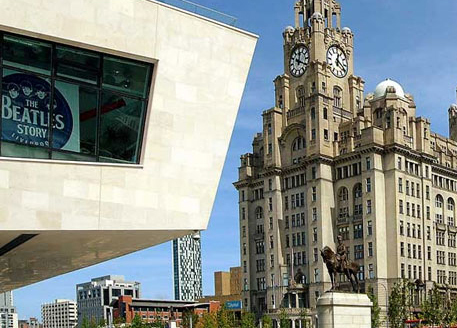 Liverpool is home to two famous football clubs, numerous art galleries, music concerts, museums and performing arts groups that enrich Liverpool's modern day. It became 2008's European Capital of Culture. The clamour for property is due in part to the city offering fantastic potential in a range of industries and its transportation links. More than 10,000 students from the Chinese communities offer an unrivalled and untapped rental potential. Widely acknowledged as Liverpool's 'student area,' Brownlow Hill offers property hunters considering rental potential the very solution they require: manageable units with literally thousands of renters on their doorstep. Why? 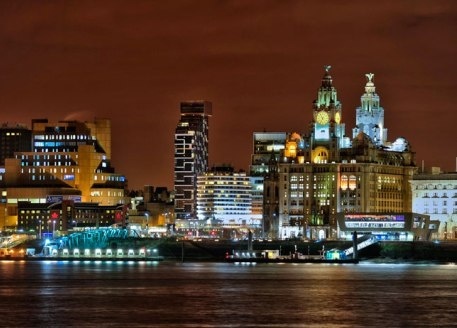 This district of Liverpool is unofficially classed as the city's 'student quarter' due to its proximity to a number of education institutions and universities. Brownlow is packed with residential choices to match every budget and demand, but just as equally important is what is located right on its doorstep. Deemed the city's Knowledge Quarter, the district is bounded by the University of Liverpool, Liverpool John Moores University, Liverpool City Council and Liverpool Vision. 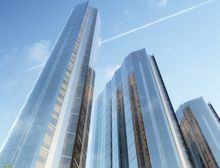 The area is vitally important to the economy of the city and, therefore, investors will be sorely tempted not to seek out property opportunities available. It has been estimated that within the quarter, upwards of 60,000 people are being educated in all diverse disciplines. The Quarter itself generates nearly 15 per cent of the city's GDP - about £1 billion in income per year - and supports 15,000 full -time jobs. Coupled with the concentration of the population, is the fact that various buildings and institutions are undergoing multi-million pound redevelopments, further enhancing the attractiveness of the area. The Knowledge Quarter, touching on Brownlow Hill, stretches from Upper Parliament Street in the south to Islington and is bound by Grove Street and Low Hill to the east and Renshaw Street to the west. 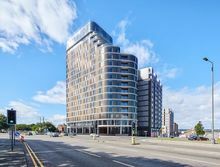 Around Brownlow Hill, Liverpool University embarked on an ambitious £50 million 1,259-bed student living scheme in Liverpool, featuring two striking glass towers called Crown Place. The scheme comprises three distinct buildings with the two central glazed towers of nine and ten storey. Liverpool Waters is part of the Atlantic Gateway project, a combination of 50 projects that will transform the city's northern docks. Owned by the Peel Group, the 60-hectare plot will accommodate high-quality, mixed-use retail, residential and entertainment projects as part of the waterfront quarter in central Liverpool. As it is owned under one company, it means the scheme can move ahead without the need for renegotiating land deals with individual parties. Together with Wirral Waters on the west bank of the Mersey, the project will have a significant beneficial impact upon the structure and economy of the city. For investors planning with an eye on the future, the multi-billion pound regeneration of the Liverpool Waters port project will be one of the most exciting to be associated with. The development is based around a single-owned port in the Liverpool docklands and will more than increase the sprawl of the city further outward, while still retaining major links with the city as a whole. Liverpool Waters will seek to offer complete ease of access and synergy between the city's northern quarters and the City Centre. 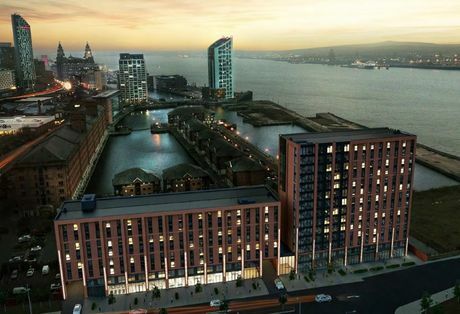 As part of the development, on Princes Dock, there are already five residential towers offering spectacular views of the Mersey and the city. The apartment blocks are named Alexandra Tower, No 1 Princes Dock, Waterloo Quay, Waterloo Warehouse and Waterside. 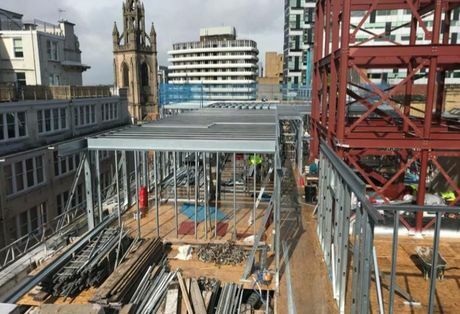 There are also 4 other residential developments still to be completed, which will give property investors looking for a opportunities in Liverpool, much to be excited about. The master plan of Liverpool Waters offers the utmost flexibility and an array of opportunities across the scheme. There are also plans for low to mid-rise neighbourhoods of Clarence and Northern Docks. These buildings will offer unrivalled waterfront views, whilst surrounded by a vibrant mix of leisure and recreational activities. The waterfront-related economy has recently been boosted by an approval of Liverpool’s bid to become a turnaround point for international cruise liners, offering further employment and economic opportunities. Overall Liverpool Waters will extend over 2km along the banks of the River Mersey. This £5 billion scheme has outline planning permission for 18.3 million sq.ft. of mixed use development floor space. A property mix that matches every budget is available in the Rope Walks neighbourhood of Liverpool - a project that at once brings its history and modern liveability to the fore. The Ropewalks district is, indeed, a beacon for the regeneration success story - where a down-at-heel area left to its own fate was picked up in the 1990s and millions of pounds poured into it, and now offers a diverse residential, retail and entertainment mix that is the envy of the north. Far removed from the scenes of urban decay so prevalent during the 1980's and 1990's, the Ropewalks district is now a benchmark for successful urban regeneration in the north of England. Rope Walks is now a vibrant area and has gained the crown as the centre of Liverpool's night-time economy. The area runs from Lydia Ann Street to Renshaw Street widthways and from Roscoe Street to Hanover Street lengthwise. At the heart of this district is the increasingly popular Seel Street and Concert Square district, home to various cafes and boutique shops during the daytime, the area comes alive at night, with a wide selection of bars and restaurants attracting visitors from all over the country. Investors zeroing in on stable rent, good solid property won't have to look far to get all the boxes ticked in the Rope Walks district, as much for its proximity to the likes of business life, but also the diverse Chinese community that it retains. Rope Walks, a unique area given its large historic warehouse buildings, was home the city's rope making district for sailing ships that dominated the area until the 19th century. It wasn't until the cusp of the dawn of the 21st century that the Liverpool Rope Walks Partnership helped in the regeneration of the area through development, conservation and improvements, offering employment, business support and residential accommodation. Major schemes that were completed included East Village and Manhattan Place. Rope Walks hosts a training centre for Liverpool Community College, apartments, workspace, shops and cafe, and boasts Europe's largest Chinese Arch. The street geography is naturally unique, with the regeneration helping to alter better north-south connections in a predominantly east-west street system. Packed with retail, employment and health care, investors essentially have everything they require for the perfect property opportunity. And yet, the very natural walking routes and lack of vehicle intrusion makes for a natural pedestrianised neighbourhood. The areas built heritage remains intact and of the 680 properties that make up the area, 95 are listed. The area forms part of Liverpool's 'Maritime Mercantile City' World Heritage Site. The regeneration of Rope Walks has been a major success. Since 1997, approximately £150 million of new investment has been brought into the area and 900 new residential units created. 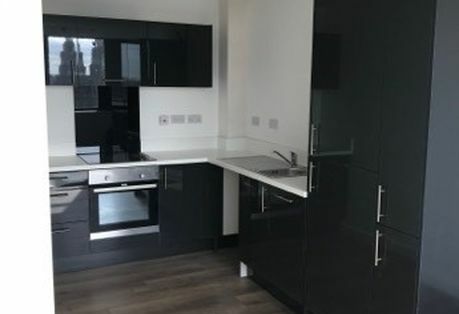 Today, we offer a number of excellent developments within the Ropewalks district including the superb new One Wolstenholme Square. 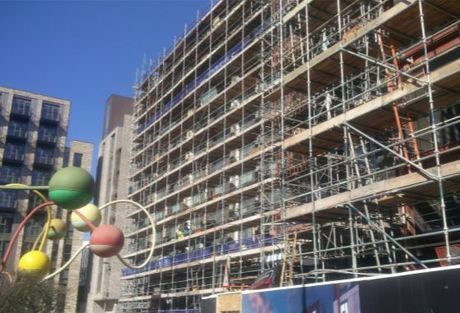 Liverpool One is part of a major 42-acre development in the heart of the city centre. A mix of leisure, residential and retail, Liverpool ONE is a £500 million development and the UK's fifth largest open air shopping centre. The project, launched eight years ago, consists of six districts: Hanover Street, New Manesty's Lane, Paradise Street, Peter's Lane, South John Street and The Park. 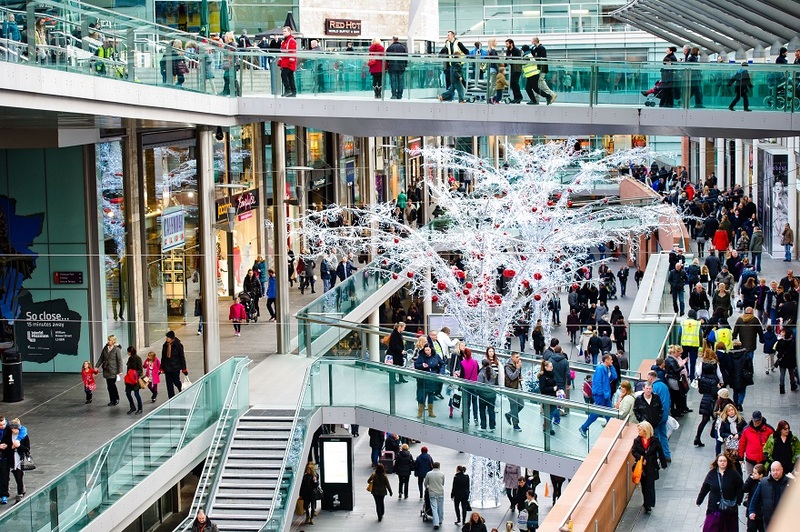 At the heart of Liverpool One, are the stunningly designed shopping walks, three levels of major brand shops, cafes and restaurants, designed to create a modern retail and entertainment centre. There are excellent transport links throughout the local area including the multi-million pound Paradise Street Interchange and a multi-storey car park. Liverpool One includes top High Street names and features more than 100 shops, 25 cafes, restaurants & bars, two hotels and 600 apartments. Apart from its retail and entertainment elements, Liverpool One offers a fantastic opportunity for investors to take advantage of the residential space available. Due to their proximity to the city, property always remains highly sought after since coming to the market in 2009. There are also unique elements to the scheme, including a 20,000 sqm public park, a 14-screen cinema and a 36-hole adventure golf centre. Liverpool One is an iconic project that has contributed towards the city's economy. Baltic Triangle - The regeneration of Liverpool's waterfront district. 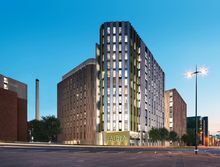 Baltic Triangle is rapidly becoming one of the hottest rental centres in Liverpool, offering new build, high quality accommodation and yet within easy walking distance of the University of Liverpool, John Moores University, China Town and the new Liverpool One shopping centre. As a rental generator, the 311-capacity apartment complex is one of the fastest and favoured investment spots in the northern city. Given Liverpool's wider university status, with four campuses and more than 70,000 students a year, the potential for reliable income is quickly becoming a reality through the Baltic Triangle. The Baltic Triangle is a historic port area of Liverpool bordered by Echo Arena, BT Convention Centre, Albert Dock, Liverpool One and Rope Walks. It is the last city central area ripe for redevelopment and is now experiencing a steady renaissance as investors recognize the benefits on offer. The area is popular with students from an entertainment perspective with some of the city's most acclaimed venues including the 2,000 capacity Camp and Furnace. Liverpool Vision is behind the Baltic Triangle’s economic development and regeneration as part of its remit to manage the next phase of the city's continued transformation. In developing their objectives, Vision ensures each area brings something different to the economy. Key to the regeneration of the Baltic Triangle region is the increased demand for city centre accommodation in Liverpool. Driven predominantly by the large number of students and young professionals in the city, rising city centre prices have led developers to look at the regeneration of previously run down districts such as the Baltic Triangle. Far removed from the scenes of urban decay which were synonymous with the 1980’s and 1990’s, the Baltic Triangle is now considered to be one of Liverpool city centres most up and coming districts. The large number of people seeking rental accommodation in Liverpool city centre has understandably led to a large number of investors looking at property in the Baltic Triangle to deliver both capital appreciation and long term, sustainable rental yields. Demand currently outstrips supply with 75 percent of students currently renting privately. Rising rental prices for student accommodation in Liverpool has been driven by both a desire for better quality and a growing number of overseas students. It's estimated the number of international students will increase by 20 percent in the next five years, so the Baltic concept will be an ideal place to invest. 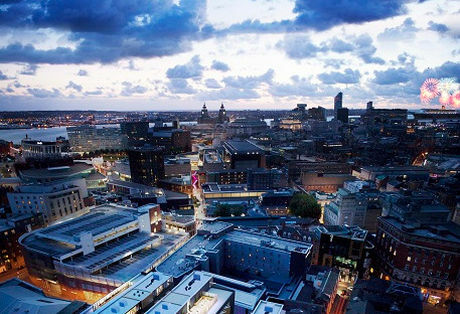 Liverpool is continuing to enjoy economic growth and this is in no small part due to its burgeoning reputation as an innovative location for business, education, health provision and research. With its young population, it’s also a hub of creativity and this has helped to bolster its appeal as a base for tech and innovation start-ups, as well as established businesses. The Knowledge Quarter (KQ) Liverpool encompasses an area of approximately 450 acres to the east of the city centre that includes Liverpool John Moores University, Liverpool Science Park and Liverpool Institute for Performing Arts, among other institutions. KQ Liverpool has been recognised as a dynamic space for education, science, health and technology and is subject to a massive ongoing programme of development and investment, with a board of city partners collaborating to decide on the most beneficial long-term plans for this dynamic quarter of the city. Liverpool John Moores University and Royal Liverpool University Hospital are two of the largest beneficiaries in terms of investment, with the hospital being completely redeveloped and the university enjoying multi-million-pound funding to improve facilities and create greater opportunities for study and research. Moving forward, one of the major focuses of the Knowledge Quarter is Paddington Village – a £1bn* site that will see the area expand to include new science and technology parks, as well as residential developments and leisure space. With two college campuses also being built in the village (Liverpool International College and The Royal College of Physicians), the aim is to attract national and international students and tutors, thereby cementing Liverpool’s reputation as a high-calibre centre for further education and research. 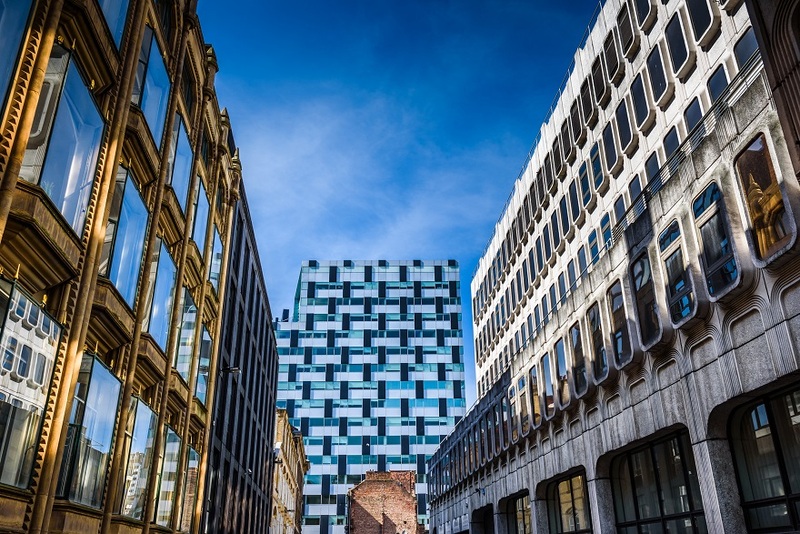 The huge long-term investment in – and citywide commitment to – the Knowledge Quarter will have a positive knock-on effect on the property sector, with high-quality developments offering investors a diverse range of options. From contemporary student accommodation to housing at the luxury end of the market, there will be extensive buy to let and other investment opportunities. The area is set to experience further expansion and continued regeneration as more companies, particularly in the science and technology sectors, choose to relocate here or establish regional offices to take advantage of the on-tap intellectual resources and state-of-the-art infrastructure. While KQ Liverpool is currently a readymade creative hub that supports a growing community, it’s also an evolving collaborative enterprise that is extending its physical boundaries to offer workspace and facilities to world-leading educational institutions and innovative businesses. This is an exciting time for the city with partners, investors, local government and developers all on board to maximise the potential of this multi-use space. The seventh and sixth floor is now completely stripped with new partitions studded and boarded and all door frames installed. 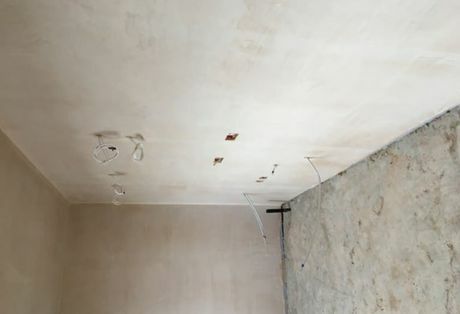 Plastering on the seventh floor is approximately 80% plastered and 60 to 70% plastered on the sixth floor. Construction on Silkhouse Court is well underway and on course to complete in Q2 2018. The show apartment is completed on the ground floor, showing the contemporary interior design used throughout each unit. Block A is now completed alongside mechanical and electrical works being tested and commissioned in Block B. Also completed in Block B is the furniture and paving, in line with the snagging which is under way up to floor 5 in the block. 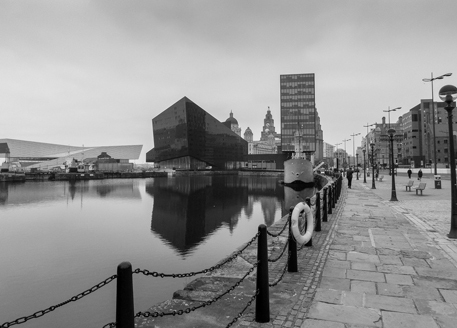 Looking for property investment in Liverpool?